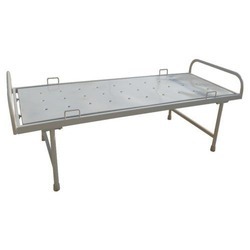 Providing you the best range of fowler bed, icu bed, attendant bed, plain hospital bed, high low icu bed and hospital semi fowler bed with effective & timely delivery. 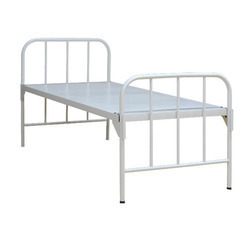 We have emerged as the leading manufacturer of a broad range of Fowler Bed. 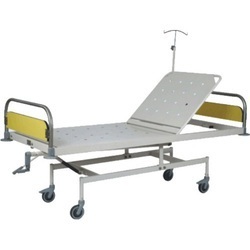 Four separate lead screws for Bed Rest, Knee rest, Trendelenburg and reverse Trendelenburg position and Height adjustment by individual handles. 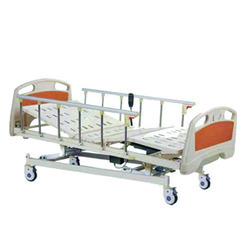 Full length SS tubular collapsible side rails. Rubber buffers on all corners. Detachable 32 mm dia ss bows with panels. 125 mm dia. Heavy duty wheels with brakes. SS telescopic IV rod locations. 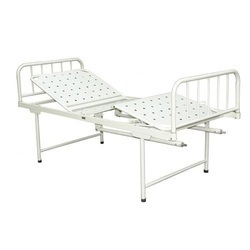 We have marked a distinct position in the market by providing high quality Attendant Bed. 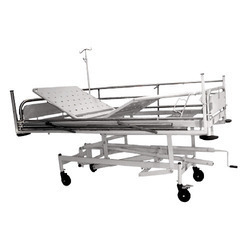 As an affluent entity in this domain, we are instrumental in offering High Low ICU Bed.